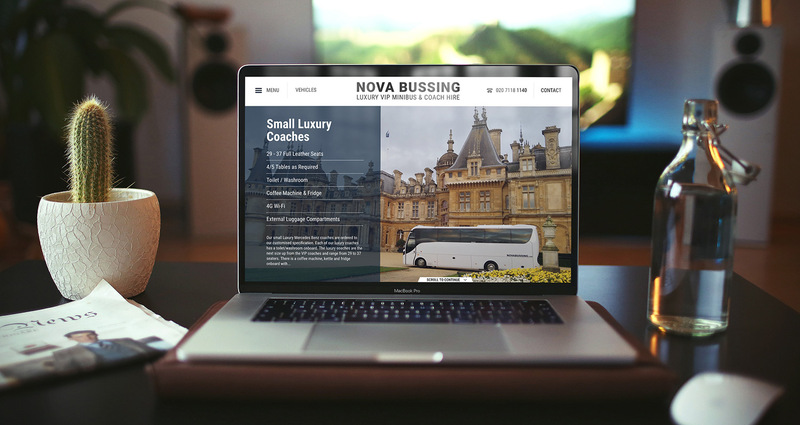 Nova Bussing has redefined Luxury Minibus & Coach Hire since 1992. The business is driven by online enquiries and as a result, they required a future-proofed, device responsive and modern website design to propel them forward in the coming years. They approached Crane Creative with a requirement for a total overhaul of their existing website. The old website was dated, lacked responsiveness and most importantly a content management system that allowed them to make regular changes and manage website content with a few clicks. Pretty vital for a website of this size. From our Tunbridge Wells design studio, we worked with the Nova team on the new layout and incorporated a number of new features. Majority of users want a quote and they want it fast! We've integrated a quote form into near on every section of the website. 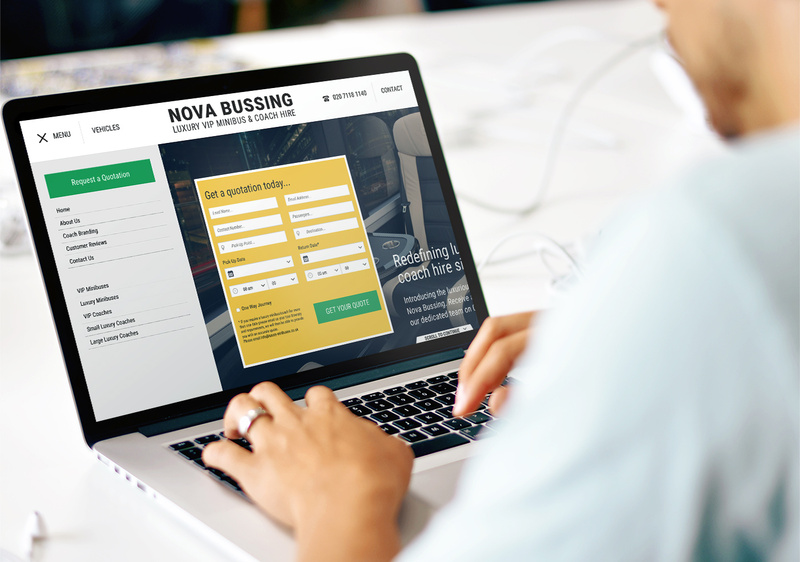 A full-width header design provides ample room to show off the amazing images and interiors of the vehicles on offer at Nova Bussing. Tied together with a fully responsive menu, the navigation is equipped with visuals of vehicles a lovely fluid animation and a telephone contact is present at all times in a prominent position on the new website design. Synced up with their Google Accounts the team at Nova can now accurately track PPC conversions and website traffic meaning they can streamline their advertising and marketing campaigns to really target the users who are most likely to convert to customers. Take a look at the live website using the link below. If you'd like to discuss a web design project for you or your business then please don't hesitate to get in touch.